When Mike and his film crew can't seem to make a good movie it seems the end is near. 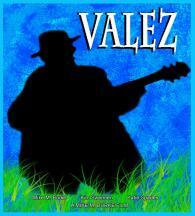 That is until Mike begins to see advertisements everywhere for a music festival starring Fernando Valez. Who? Mike decides to find out along with his film crew. Along their search for Valez they come across some very unusual people and no one seems to know who Valez is. Each have a different story about who Valez is. Larry, the camera guy, decides to turn the cameras on the crew and sometimes without their knowledge capturing humorous and some times dramatic moments. This is a don't miss comedy that will have you laughing from the start!